Some say, “You eat with your eyes.” I don’t know about you, but until my eyes start sporting incisors, I’ll continue to use my mouth. Especially when drinking cocktails. I was recently at a bar that specialized in herbal concoctions and ordered a Rosemary Gimlet. I’ve been focusing a little more on gin these days, favoring an ice-cold martini over my usual whiskey or rye-based drinks. Partially because I was in the states and people kept making Manhattans and other cocktails way too sweet. One said-to-be reputable bar served me a Manhattan with extra maraschino cherry juice in the glass. If I wasn’t so respectful of bartenders, I would have lept over the bar and made her stop. What’s up with that? I tend to like my cocktails on the tangy or on the rugged side, rather than too fruity or sweet. Herbs, I can go either way on. Rosemary in particular, is one of those herbs that if you use a little too much of it, the taste can be medicinal. But when I saw it paired with gin and lime juice on a bar menu in New York, I figured it would be a nice combination for a winter cocktail. And after my first sip, I was convinced that it was. 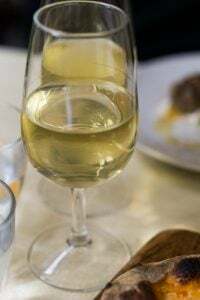 The only issue I had with the one that I’d ordered was that it was served in a thick glass, shaped like a deep cone tapering downward, resting on a base with no stem. It was more appropriate to what you might find at an airport lounge rather than an upscale cocktail bar, where drinks were going for $14 a pop, plus tax and tip. While chatting with the barman, I did mention that the cocktail was tasty, but the glass could have used an updating. He replied that that’s what they had on hand, which seemed a shame. A friend of mine told me about going to a swanky hotel in Manhattan for a martini, and her favorite part was the glass. 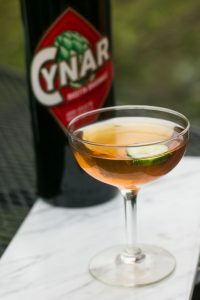 She described it as having a curved shape, like a typical martini glass, but at the very top, right before the rim, the glass curved in just a little bit, which she reiterated with the tips of her index fingers cocking inwards. From that tiny gesture, I could tell exactly how that cold martini tasted as it slipped through her lips. 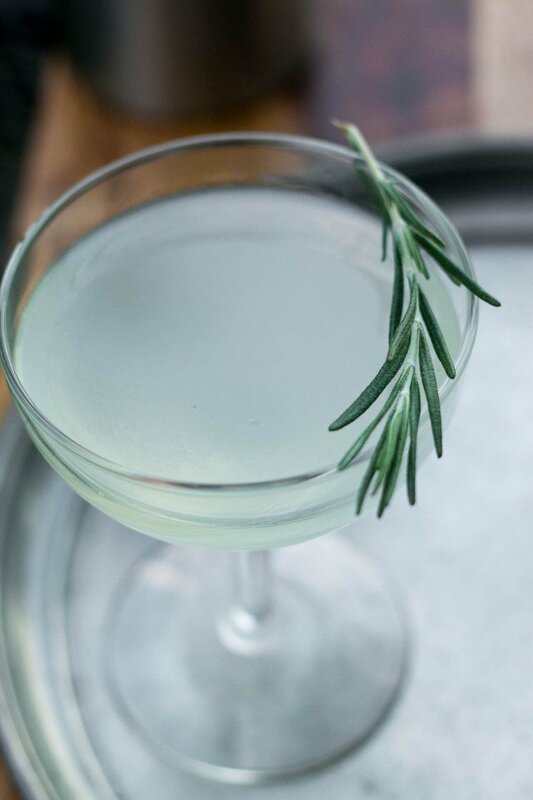 Rosemary adds a lovely resiny flavor to this cocktail, with pairs nicely with the tart lime and juniper-rich gin. However it is a flavor that can quickly overwhelm. I found the amount in the syrup that I used to be just right. But if you’re a bit apprehensive, you can dial it back to 1 1/2 tablespoons (about 3g). The rosemary syrup will make enough for about eight or so cocktails. It can be kept in the refrigerator for several weeks. It’s also nice drizzled over fresh orange slices for dessert.This is a great winter cocktail and if you don’t want to use the rosemary, you can make a sugar syrup without it and use that. (Or you can get creative and infuse something else in the syrup.) The recipe can be scaled up to whatever will fit comfortably in a cocktail shaker. Most cocktail shakers can handle two drinks at the same time. 1. Make the rosemary syrup by heating the water, sugar and chopped rosemary leaves in a small saucepan, stirring occasionally, until the mixture is hot and sugar is dissolved. Remove from heat and let the syrup cool completely. 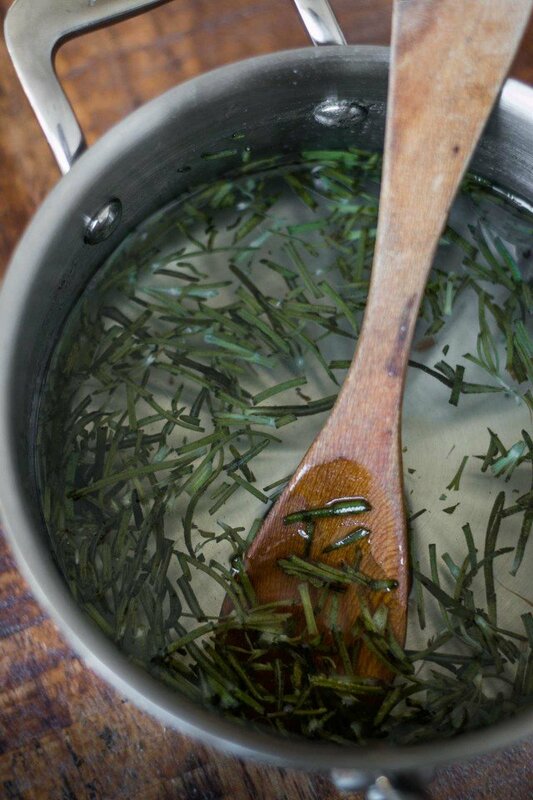 Once cool, strain the rosemary syrup into a jar, and refrigerate until ready to use. 2. Chill a stemmed cocktail glass in the freezer. 3. Measure the gin, lime juice and rosemary syrup into a cocktail shaker. Fill the shaker halfway with ice, cover, and shake the gimlet mixture about twenty seconds, until very cold. Pour into a chilled cocktail glass. 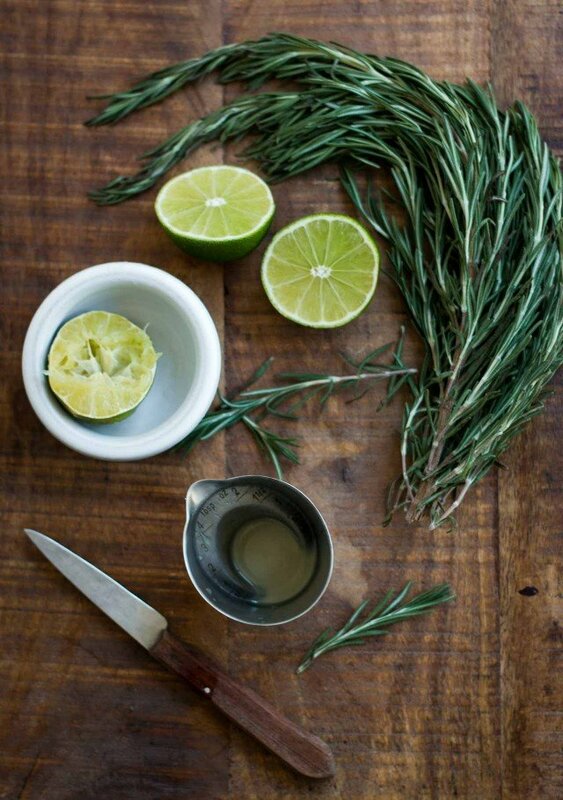 Garnish with a sprig of rosemary or a slice of fresh lime. 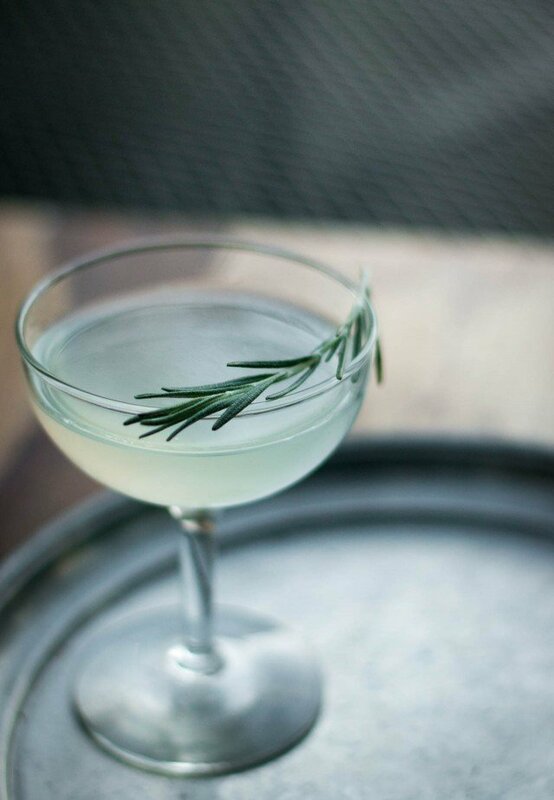 The Rosemary Gimlet… just brilliant! And, David, I’m glad to see a properly shaken gimlet! Yes, the correct cocktail glass. I made a gin martini last night for the first time in ages and could not find my favorite martini glass! I ended up using the plastic martini glass I bought for cocktails by the pool. Not good, but it did cool down enough after about 15 minutes in the freezer. I’m ordering my favorite glass, Viv from Crate and Barrel, today. This is just what I need for the holidays. A fresh spin on gin. I looove rosemary. Running to make this now… (er in a few hours… when it’s five o’clock somewhere). Hey David! Seeing as you’re a fan of gin I wonder if you like sloe gin? Don’t know if it’s popular in your neck of the woods but in UK everyone’s out there picking the wild sloe berries come fall (add gin and sugar and leave for several months before decanting) to make a wonderful sloe gin (think sloe gin fizz) Tastes wonderful! After a serious introduction in my college years, I have forever since foregone sloe gin. F O R E V E R.
Me, too! And I had my sloe gin experience 45 years ago. Still makes me shudder. We lived in the East Bay while St George was growing up and enjoyed the fun tours…oh, and the tastings. BTW, we heard Rupf also put an entire christmas tree in the distiller. Next time you’re in SF, find some spirits by a new guy in Santa Cruz, Sean Venus. He’s got a great palate….his agave reposada is world-class, as are the gins. Beautiful bottles too. Yes Jörg was one of those people who was really on the cusp of things changing in the Bay Area. I went to his distillery a few times. Once he had found a barrel of apple brandy that he had forgotten about in a corner for ten years, which he laughed about. (Of course, it was amazing.) And another time he called me because he had some excess fruit that he didn’t know what to do with. 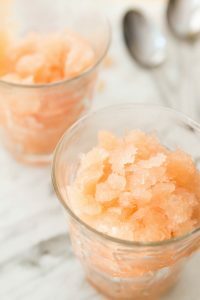 When I arrived, there were hundreds (and hundreds) of ten gallon buckets of pear, raspberry, and other fruit pulps, that he had used for the distillations and he didn’t know what to do with them all. I would have taken some, but it was a lot. He told me it took 60 pounds of pears to make a bottle of eau-de-vie, so now when I see a bottle for $20-30, it seems like a bargain! Such a lovely, sophisticated drink for the holidays! 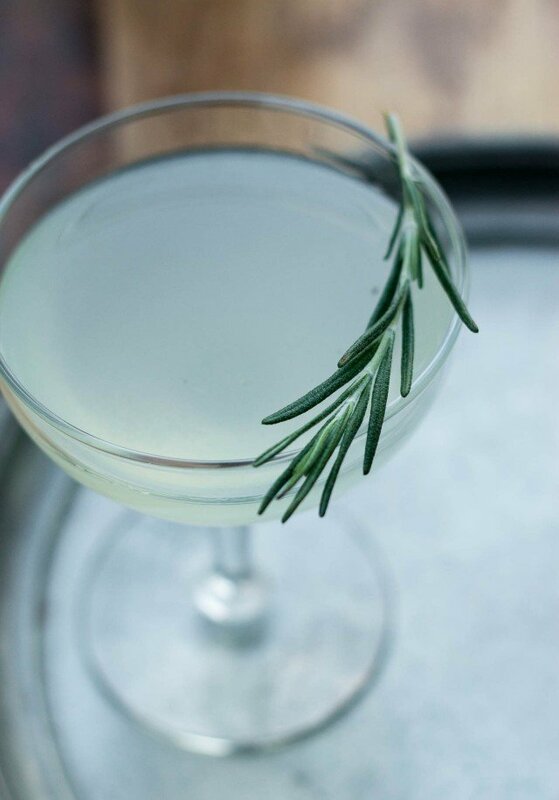 I love gimlets but have never thought to try one with rosemary – such a good idea! Definitely going to try this! I love your Thrift Store tip. I am always amazed at the fab glasses I can buy for almost nothing. This cocktail sounds delicious! Is it being served in Paris? We will be there the week of Christmas and I think my daughter-in-law would love it. There are some excellent cocktail bars in Paris but not sure if one is serving this drink. I’ve profiled a few favorite bars in the site, like Le Mary Celeste and Pas de Loup, but you might want to have a look at 52 Martinis as Forest really does a good job scoping out the Paris cocktail scene. I have not tried rosemary in a cocktail before, but this sounds fantastic and so season-appropriate! You are so right about the glass in which a cocktail like this should be served. I am not a cocktail expert, but I do like an appropriate glass for each drink-alcohol or not. It does make a difference. This slays me. Well worth watching to the end. Thought it somewhat appropriate for your post today! Enjoy! David – thanks so much. My sister-in-law just gave me a huge bag of key limes from her tree. Perfect timing. Shake. Shake. Shake. Yum! I love herby cocktails. This one’s beauty. YES! same. I don’t have particularly shaky hands, but martini glasses are a disaster for me. I read somewhere that the slightly rounded martini glass was based on the shape (and size) of Marie Antoinette’s breast. Since you’re in France, perhaps you can confirm! Love your stories. Oh!!! This reminds of the best martini I ever had (in Fredericksburg VA, no less). 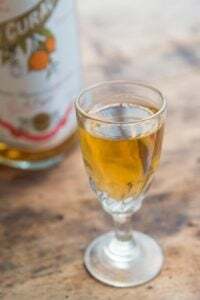 Although from their homemade vodka, it was mulled with radish, flavored with a rosemary syrup, served icey cold in a proper stemmed glass with a shivering sliver of radish afloat. Your post here has inspired me to replicate that drink, and of course your Gimlet as well. Also, I too scout for oddball highballs and cocktail glasses at my favorite thrift haunts. This way, breaks are only to one’s glass, not heart, unless of course, the drink was just poured! I almost always prefer my cocktails in a coup glass rather than a martini glass- most martini glasses I see are monsters, and coups tend to be restrained and elegant. I’m definitely not opposed to drinking out of a jam jar, but it has to be the right kind of cocktail- something informal and summery works best. I’ve had very mixed luck with gimlets, from excellent to deeply sad, but this one looks very tasty. Is it really only 10:40 in the morning? Blast!! Intrigued by the Rye gin. We’ve been experiemnting with rye in all its spiritual forms this past year, but love our gin, so this sounds like a great match. Right with you on the jam jars–another unfortunate american trend I wish had never happened! Wine pros say a lot of things, most of them completely unreproducible and unverifiable. xt: Because I love rye, and gin, I thought this was an interesting combination. Once I get through the bottle (which shouldn’t be long! ), however, I’m going to try the other two gins that St. George makes. The jam jar trend, like verrines in France (food served in glasses & jars), was interesting at first. 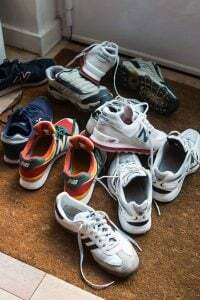 But like many trends, they get worn out. They make sense in the south, where I think that originated. But basta! simon: That story has been myth-busted, but stories like that do tend to take a life on their own. Thanks – and glad you like the blog! 14$ a pop plus tax and tip! How things have changed. That’s why I drink at home. Love gimlets and have a huge Rosemary bush in my garden. Will give your suggestion a try. Keep up the good work. While this looks wonderful..the glass with the sprig of Rosemary. I am with Sharon on the gin or Sloe gin after an experience in college I can not abide the smell of Juniper. So much so it took me years to get rid of a juniper bush by my back door. I love Rosemary and the fragrance is wonderful. I now have to find a way to use the Rosemary syrup I now want to make. Any suggestions? 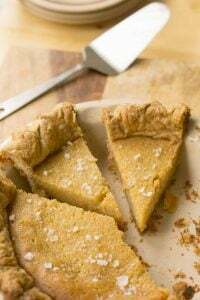 Might have to find a use so I will have something to go with a Rosemary Chocolate Pie that I love making..just to surprise people with the unusual ingredient. Rosemary must be the “it” herb, as I’ve seen a lot of drinks with it this season. I made a cocktail (a twist on the Moscow Mule) for Thanksgiving with a cranberry-infused simple syrup, vodka, ginger beer, and lime. The recipe also called for rosemary ice cubes and a short sprig of rosemary on the side of the glass. It was a hit! I think it’ll be back for our Christmas Eve party. While you’ve got rosemary syrup in the fridge, rosemary Greyhounds also quite nice. 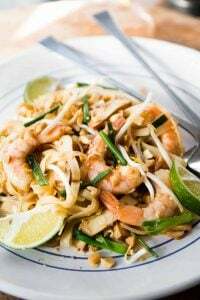 Just swap in grapefruit juice for the lime juice. I’ve always just tossed in a sprig or three of rosemary when the simple syrup is done dissolving but still hot, pull it out when cool, to avoid the chopping and straining steps. I was nodding so vigorously through this that my head almost fell off. Oh, and while we’re chucking out jam jars, can we add stemless wine glasses to the pile? This is going on the “Christmas Cocktail” menu! Sounds like just the perfect thing to serve as a signature holiday beverage. So, it sounds like the spruce-infused rye I made would be right up your alley? Worth a try if you find yourself with a spruce tree to plunder. One of our local restaurants is featuring a menu based on your recent cookbook, see : http://www.amical.com. We’ll be heading over there for dinner, excited about getting a real taste of Paris. Hi, I know this is off-topic, but I since we all LOVE chocolate it’s not *too* far…. Yum, David. Yum yum yum. 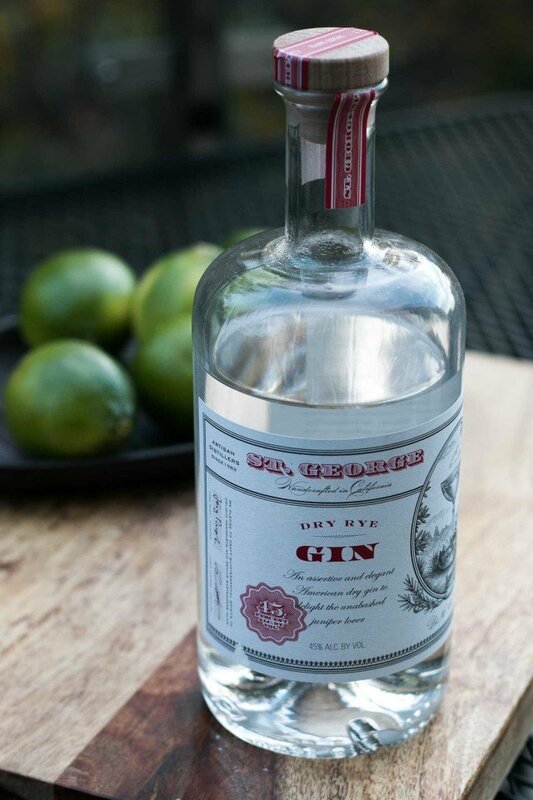 I lean toward rye and bourbon, especially in the winter but I love the label on your bottle of gin. And since I’m very easily swayed by aesthetics, one of these babies is definitely in my near future. Oh my goodness, this is my new favorite cocktail!!! I love gin, I love lime, I love gimlets and I love rosemary . . . the combination is just wonderful! Thanks in advance for making this holiday season so much more festive!! St. George Spirits is my favorite distillery. We go several times a year to see what new things they come up with! The gimlet was truly refreshing and a nice change from from usual martini….not too sweet, not too tart! I had a second one just to be sure I was right about the first one being absolutely delicious! Sage would be lovely. Like rosemary, a little sage goes a long way. So if it’s very strong, I would cut it with some water or a bit of unflavored simple syrup. Love the Bruno story. And agree that American cocktails are often too sweet. 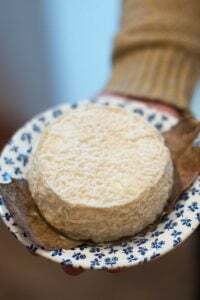 This sounds just perfect – not too sweet, not too harsh, warmly aromatic and somewhat resin-y, which seems right for the season. David, I think you and I are sympatico with cocktails. (Then again, you had me way back with your barrel of ageing negronis…) Thanks! This gimlet is seriously delicious. I went a little light on the rosemary the first time around, but my husband and I both agreed it needed the full 2 tablespoons. I am whipping up another batch of syrup right now! 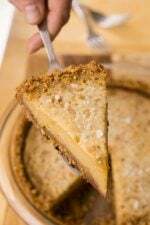 I was impatient to try this tempting recipe so I made changes. Since I definitely don’t care for gin I used vodka and instead of making the rosemary syrup I muddled it with agave syrup in the cocktail shaker. Next time I will make the syrup but I have to say my cocktail is fabulous! This. This is Christmas. I think I enjoyed it as much as my cat enjoys drinking water from the Christmas tree stand. I enjoyed it so much I have given gin, limes and rosemary, along with the recipe, as a gift no less than 4 times this season! I have one small addition to suggest… along with the sprig of rosemary garnish, I dropped in 2 cranberries. They hang out like little ornaments and look lovely! Cheers! We took a chance tonight and made these for a couple of guests we really didn’t know (actually, I had never met them before tonight). Anyway, holy s**t! It just blew everybody’s minds. What a simple and beautiful drink. I just love when something so delicious can come from 3 or 4 ingredients. Thank you!